I didn't forget to post this podcast. I just needed a break before I did. 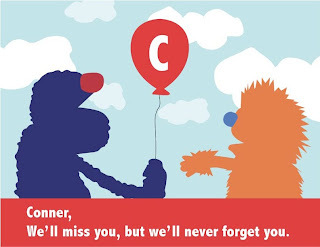 This was one of the hardest and best things I've ever done as a member of the CF Community...and it sometimes hurts to face. 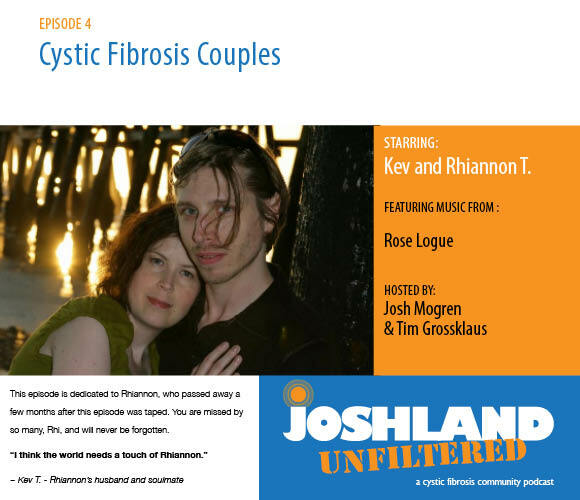 This episode is focused on adults with cystic fibrosis who choose to be in a romantic, long-term relationship. In the case of our to guest panelists, Kev and Rhiannon, that relationship turned into a wonderful marriage...but it was not without it critics. Romantic relationships between people with CF are not encouraged because of the risk of cross infection and cross contamination. In fact, some people in the CF Community speak openly against this choice because - based on scientific studies - it's a potential danger to the health of both adults and - in their opinion -it's a bad example to others in the community. It needed to be talked about and Rhiannon and Kev were up for the challenge. 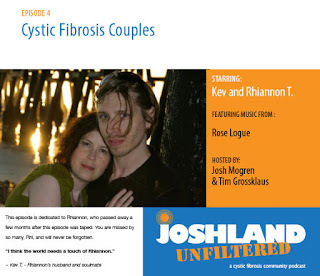 Rhiannon had some CF related health issues shortly after the taping of this episode that landed her in the hospital. To the shock of many of her family and friends, Rhi's body could not recuperate from these issues and she unexpectedly died. It was heartbreaking to all of us, but no one felt more pain than her husband, Kev. After Rhi died, Tim and I told Kev that he wasn't obligated to share this podcast with anyone and that we'd happily edit it together as a gift for him and those he chose to share it with. Kev insisted that we share this podcast with everyone because this story was too important to go untold. That somewhere out there are people who misunderstand what it means to be a CF couple and that it is VERY important it is to weigh the options before making such a life changing decision...but to never let cystic fibrosis stop you from being happy. More importantly, he wanted to give people the opportunity to hear Rhi's voice just one more time. Kev and Rhiannon are two of the many reasons why I'm so proud of this podcast and why thankful to my friend and producer Tim Grossklaus as well as the CF Community for giving of their time and energy to something worthwhile. Every story needs to be told...even the ones we might not want to hear or agree with. I could rave on and about this podcast, but it wouldn't do it justice.Please take your time to listen to the story and share the lives of two people who happened to have CF...and fell in love. Thank you to Kev and Rhiannon for this gift and their bravery. Thank you, Rhiannon, for just "being". The world was brighter while you were here. It was a pleasure to listen to you four wonderful people having such a warm, intelligent, serious and respectful conversation together. This podcast achieved what some of the shows like THIS AMERICAN LIFE on NPR are shooting for, but better, more intimate, less slick, not one hint of sensationalism. I learned a lot listening. I hate to think of Kev's struggling alone without Rhiannon. 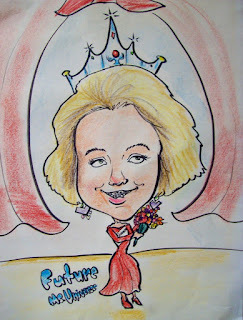 I'm an anonymous outsider fascinated by the complex community of CF online. Although the first order of business is for you all to provide support for one another, I want you to know how your blog can also be important for anyone trying to understand what life, and death, are all about. Thank you, Josh. Wow. I have CF and I'm married to someone with CF and it is very unusual to hear of others in the same situation. I loved hearing Kev and Rhiannon's story and seeing how it parallels yet is different to my story with my husband David. Kev, thanks for sharing your story - even after such a life changing event. My thoughts are with you at this really difficult time. Josh, thanks for enabling their story to be told. This One's For The "Triers"